How Far is Akash Vihar Phase-II? Akash Vihar Flexi-Homes offers you a unique, first-of-its-kind way in which to fulfil your dreams of owning property of your own. Not only do we offer you property rates that are unmatched anywhere else in the city, we also offer you extendable housing plans to match your current and future needs.In us, you have a partner to help you build your dreams.Flexible home plans.Just for you. Price Rupees 4950 per sqyard. Whatever your current need, Akash Vihar Flexi-Homes ensures that it does not affect your future dreams. We offer you a unique way in which to build your future plans on the present.Every plot of land purchased with us comes with a single-bedroom house. This modest house is built according to a special flexible plan that allows you to extend it if you wish. This means that this house can be turned into a two-bedroom simplex (single-storey house), or even a four-bedroom duplex (two-storey house) any time in the future. And because this modest house is built to such an extendable plan, there will be no need to demolish it and build from scratch – saving you a significant amount of money.Our flexi-home plan lets you build your future on the base of today.The best value for your money. Anywhere in the city. 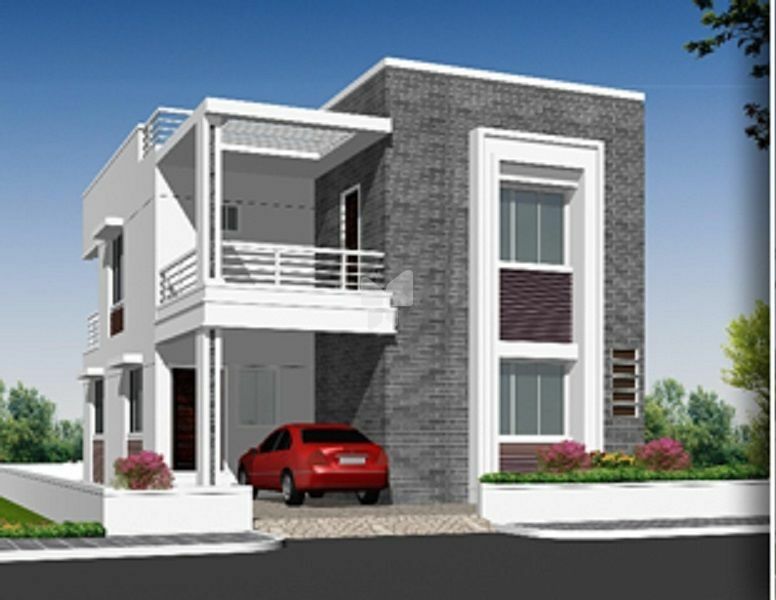 Located in Mansanpally, Shamshabad, this project takes advantage of the currently depressed rates of land in the area to give you an extremely economical route to investing in real estate. Soon, however, real estate rates in Shamshabad and its surroundings are set to skyrocket.With Akash Vihar Flexi-Homes, you are assured of high rate of return on your investment. Appreciation of real estate is assured, due to both rapid expansion of the nearby international airport, and the development undertaken by many companies in the area. In a few years’ time,Shamshabad and its surroundings will be almost completely developed, giving your property high market value. And we will even pay you a rent of Rs. 2,000 per month for the first two years while your property appreciates!Akash Vihar Flexi-Homes will, therefore, give you the best possible value for your investment anywhere in Hyderabad.Giving you the all-round advantage. Because every plot of ours comes with a house, we give you the power to choose between a home loan and a plot loan to finance your purchase. If you pay a high rate of income tax, a home loan would allow you to save tax based on the interest on the loan amount. However, if you pay a low rate of tax, a plot loan would be more appropriate.Akash Vihar Flexi-Homes gives you the power of choice. The Hyderabad International Airport is a stone’s throw away from our project, and is perhaps the largest employer in the area. The aviation hub that centers on the international airport is set for explosive growth, with the airport itself readying to eventually serve over 40 million passengers every year. This accelerating growth in the aviation sector will lead to many more aviation employees seeking to live near their place of work, driving up rates and increasing the value of your property manifold. Further, real estate values are closely tied to housing and infrastructure. Because our plots come with ready houses, Akash Vihar Flexi-Homes is sowing the seeds of increased real estate value: the more the houses, the higher the overall values. And while values rise, we will pay you Rs. 2,000 in rent every month for the first two years. Ajasra Homes Private Limited is a modest Real Estate company that is transparent, dynamic and focused on giving investors the best possible value for their money both in terms of investment returns and future comfort. To this end, Ajasra Homes offers its clients complete all-round solutions for their Real Estate investment and allows them to realize their dreams of a brighter future as quickly as possible.